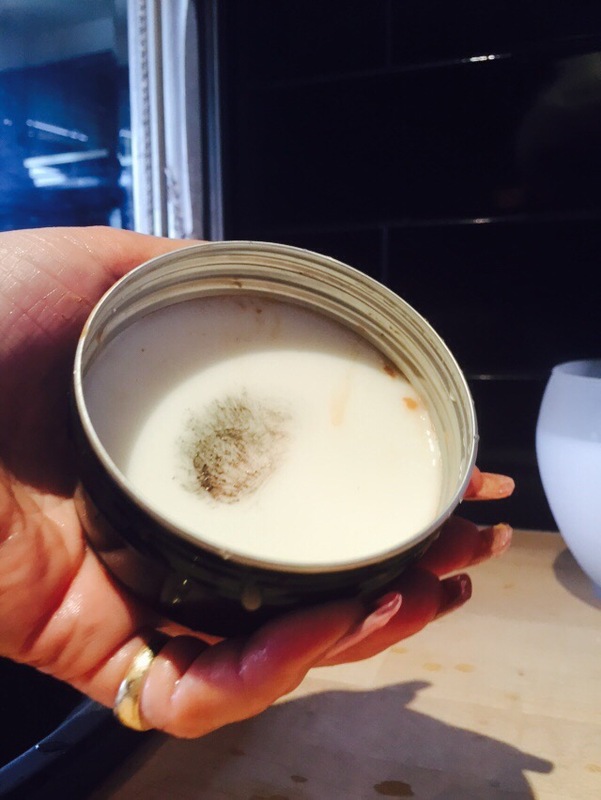 Well unfortunately the words I wanted to use to describe this magical little tin have already been stolen from me and used as the name on the front, yep, THE BEST MAKE-UP BRUSH CLEANER, well maybe I will just add ‘EVER’! on the end, and have done with it! I was waiting with excited anticipation for it to drop through my letterbox, and yesterday didn’t disappoint… there it was, even in a black shiny envelope, sucker for attention to detail for those who know me! Well clearly I wasn’t going to wait, so off came the lid and in went my nose! Doesn’t everyone do that? Lordy, it smells divine….. hmm, seemed a shame not to eat it or put it on my skin, but my sensibility kicked in and reminded myself besides it’s somewhat delicious citrusy tones, it is actually created to clean my brushes!! So I cleaned my brushes!!! It’s not a favourite job, now come on is it? What if you could make an ‘UN-favourite’ job quick and simple? Well here’s your opportunity. Holy Moly, everything done in a wink. Forget wetting, lathering, scrunching between the fingertips rinsing and doing it all again, at least half a dozen times, until you don’t scrunch your fingers on the bristles quite so much in a bid to pretend, (just to yourself) that your brushes are completely devoid of all pigment entirely. Nope, oh no , do this once, and quickly, and rinse once, and no colour, grease or residue is left. New brushes here we come. You can clearly smell the fresh natural antiseptic oils float under your nose, as you flash your brush in warm water then swizzle quickly around the top of this little tablet of wonder, it makes a gentle lather and takes out all make up remnants. Quite honestly couldn’t believe my eyes. I had to do a couple of badly used and long unclean brushes (Shh tut tut) to convince myself that I hadn’t just tried it out on a brush that was barely used, but same results again. High five and a round of applause for this genius invention. 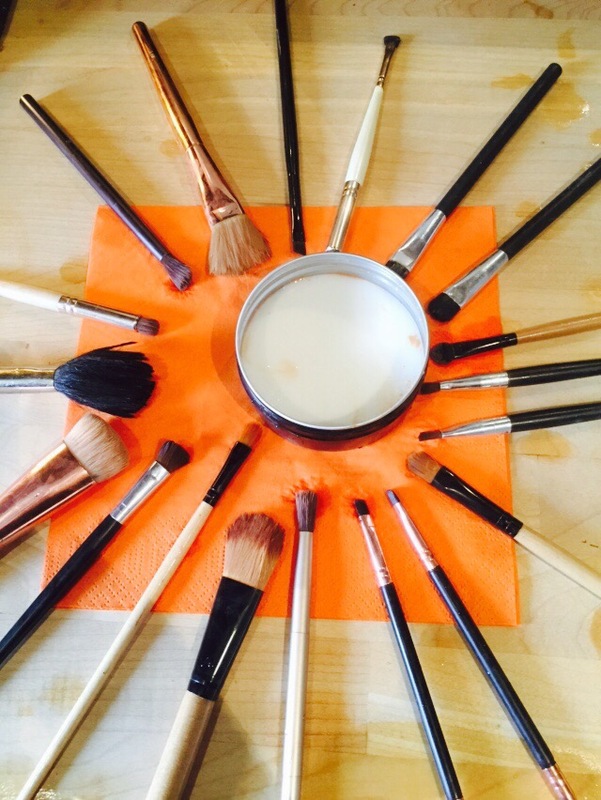 All natural, so simple, completely effective, taking care of your brushes like you take care of your skin! Quick rinse and the tin was spotless and ready to go again. Totally love it, and I would have called it the BEST MAKE UP BRUSH CLEANER whoops, they already did that! 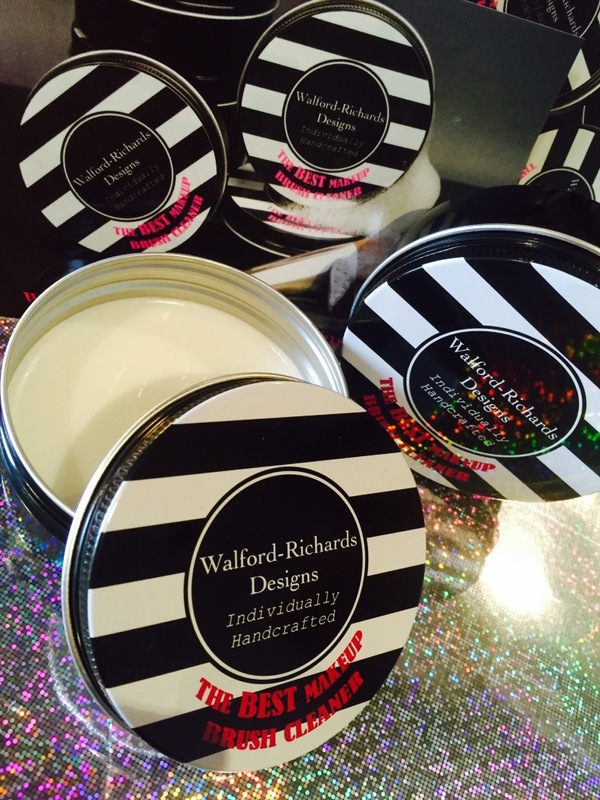 Try it and never want for another cosmetics brush cleaner again!